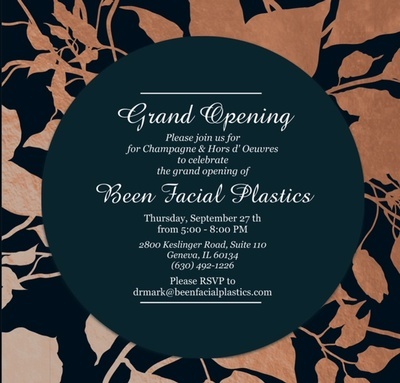 Been Facial Plastics Grand Opening! Name: Been Facial Plastics Grand Opening! 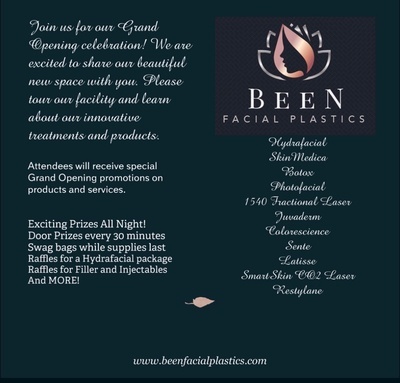 Thursday, September 27, 2018 (4:30 pm ribbon cutting) – Been Facial Plastics, 2800 Keslinger Road, Suite 110 in Geneva. For more information please contact Dr. Geeta Been at 630-492-1226.